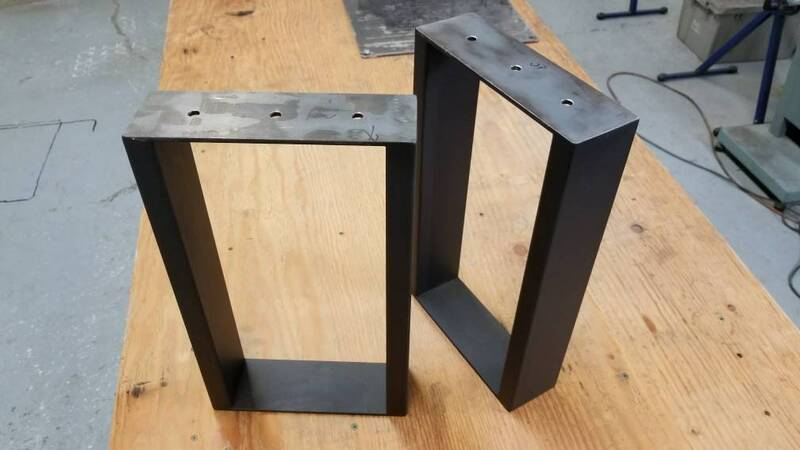 Rectangle Tube Legs - 1" x 3" Rectangle Steel, for benches and low tables - 1 pair - 9-14"
3" x 1" rectangle tube legs - available in 2 thicknesses - 1/16" wall thickness (in shiny cold-rolled steel, minimal corner radius) - lighter duty. and 1/8" wall thickness (in mill-scale finish, hot-rolled tube with nice, soft radiused edges) - much heavier duty. 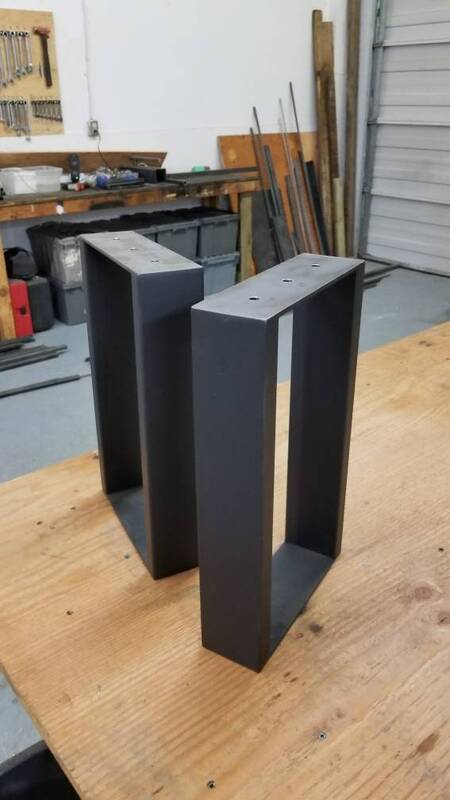 3" x 3/16" base and top. Drilled for 3 lag bolts. 16" tall (for approx 17-18" bench height depending on thickness of wood chosen) 9-16" depth. Also available in a 10" x 10" verison - if you need a custom size, feel free to ask! Listing is for 2 legs only. Comes raw, clear coated or flat black. Need something custom? Let us know! 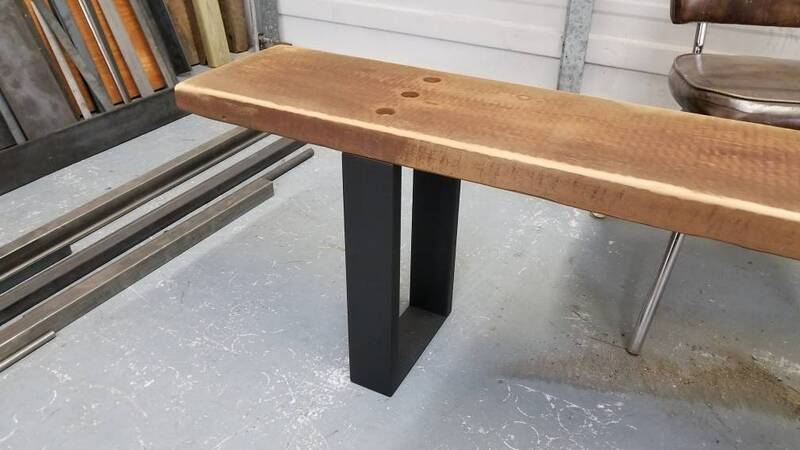 These were perfect for my barn beam bench! It was so difficult to find a set that was less than 10”. Very strong and well made. Thanks Chris!